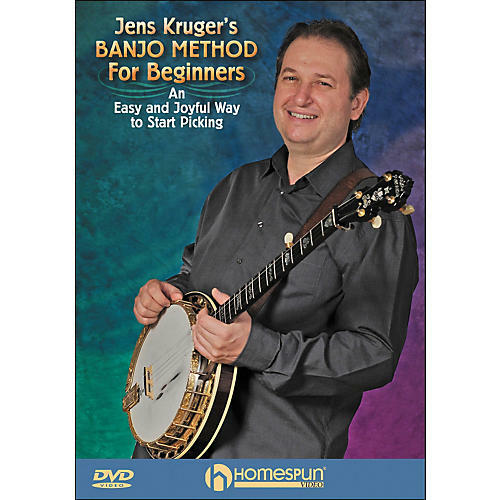 Banjo virtuoso Jens Kruger has devised a unique and immediately satisfying way for beginners to get started. This easy but highly musical lesson will teach anyone - in minutes - to play the melodies to songs such as: Will the Circle Be Unbroken · Aunt Rhody · Grandfather's Clock · Wildwood Flower · Shady Grove · and other favorites. LEVEL 1 · INCLUDES TAB .PDF ON DISC · 90 MIN.